sailboat. : Conscious Skincare Sweet Orange and Frangipani Bath Soak - A Christmas Gift Idea! 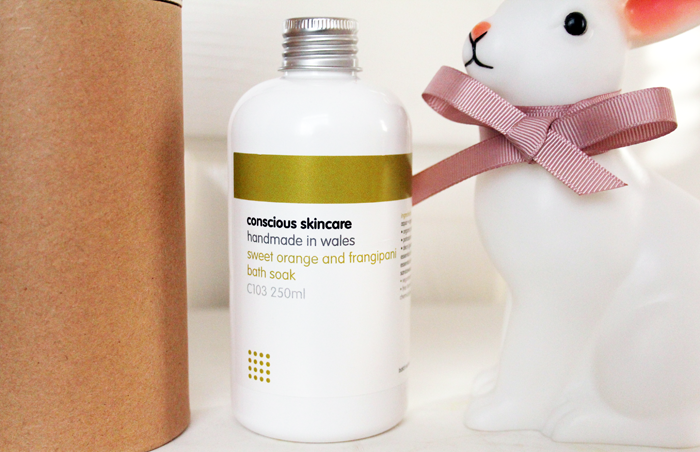 Conscious Skincare Sweet Orange and Frangipani Bath Soak - A Christmas Gift Idea! 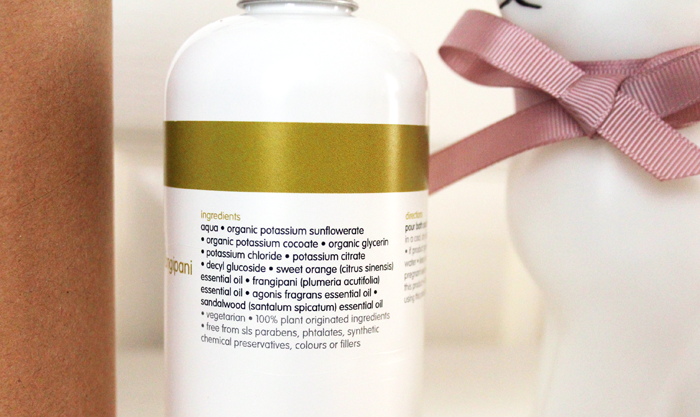 A few weeks ago I tried out the Conscious Skincare Sweet Orange and Frangipani body butter & although it's fairly pricey I think it's entirely worth the price tag if you're looking to treat yourself or a loved one. For the last week I've been taking a lot of long, hot baths giving the Sweet Orange & Frangipani bath soak* a try and I think my opinions are much the same as the body butter. If you only like bubble baths this won't be for you, but if you love a bath product to fill your entire bathroom with scent and leave your bath water feeling really luxurious, this is something I really think you should try if you're after a little bit of a treat. The scent reminds me of a Terry's Chocolate Orange, only slightly softer and more fresh so it's not at all sickly or overpowering. It's an incredibly relaxing scent and it lingered on my skin for longer than I expected, which is really nice. 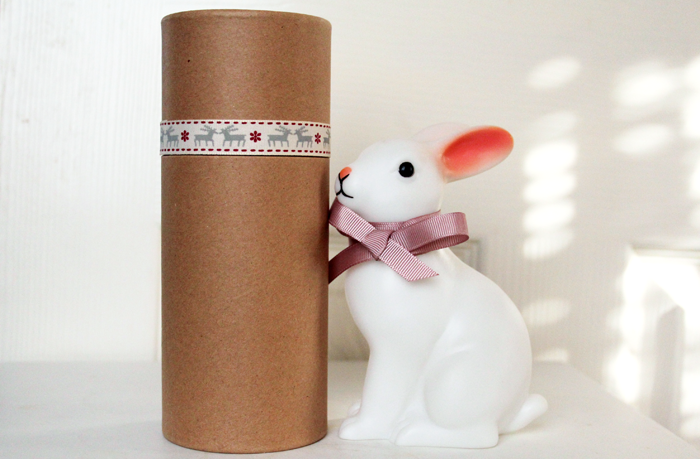 With Christmas fast approaching, if you're thinking of purchasing something as a gift there are these super sweet gift tubes available with a couple of different ribbon options. To fit in with their environmentally friendly ethos, the tubes are made from 100% recycled cardboard and I really like the simple overall look. It would make a lovely gift & you wouldn't need to faff around trying to wrap the bottle, which I can never successfully do with anything that's not square in shape! At £15.99 this isn't a super affordable bath product, but it is a luxurious one that's kind to the skin. It would make a beautiful gift for someone you love or even just as an extra special treat for yourself! Go on...treat yourself & relax! I have a sweet spot for anything Welsh as I miss Wales so much. Did the bubble bath come in that lovely packaging? I'd be very happy to find this in my stocking on Christmas day! Love the packaging of this. Sounds like a good product too! Aww the bunny is so cute. :) It sounds like it would smell SO good!! This sounds luxurious & perfect for a Christmas treat. Relaxing in a warm bath is my idea of heaven, so this bath soak would be ideal. Ah I love anything with Frangipani, I don't know why but I'm such a sucker for anything with it in. And I love the packaging of this! I've never heard of these products before, where have I been right? Definitely will now, love scents like this for Christmas! 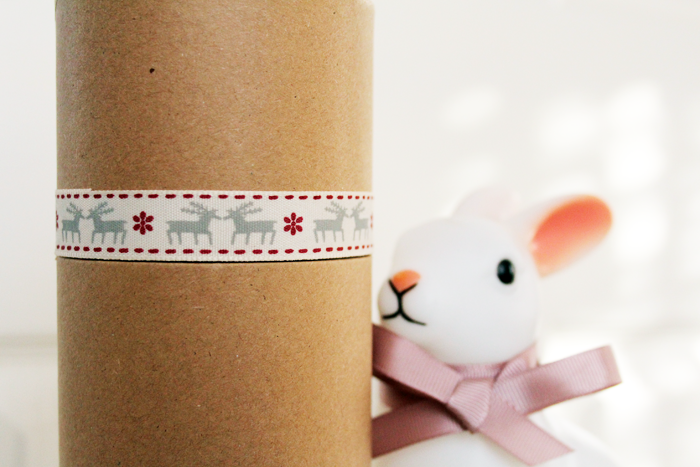 Also, loving the photography on your blog, so much clearer photographs than other people's and the rabbits so cute haha! Luxurious bath products are always a treat - especially since the act of taking a bath is so relaxing. The scent sounds quite unusual but I'm sure it's lovely. The packaging really appeals to me too! My whole life I've hated baths and I rather like showers but as I've gotten older, I kind of just want nothing more than to sit in a calming bubble bath after a long and difficult day. I think the next home I move into needs to have a bath because I seriously feel like I'm missing out.